and strengthen relationships between the school and the community which it serves. 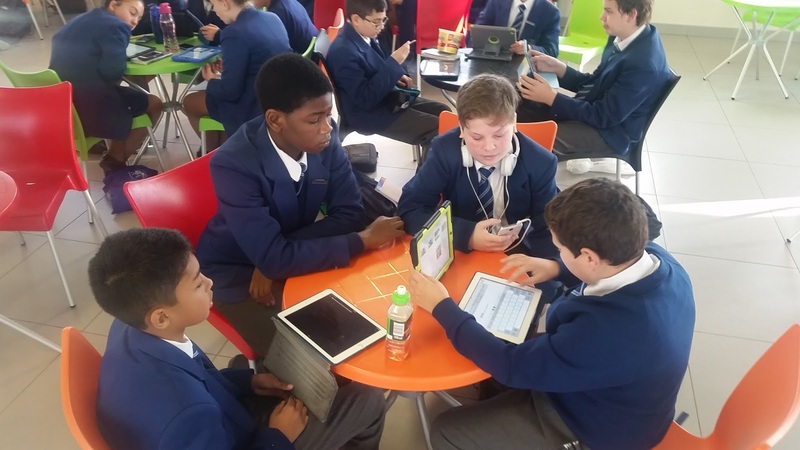 Congratulations to the finalists for using technology in such sound and engaging ways and well done to CoZa Cares Foundation for recognising teachers who are making a difference in their schools and communities. Congratulations to the 2016 ISPA SUPERTEACHER FINALISTS who will be attending iWeek 2016 at The Wanderers Club from 21 to 23 September! The Gala Awards Ceremony will be held on Thursday 22 September, at which the 2016 ISPA TechTeacher, ChampTeacher and SuperTeacher will be announced. "ICT Capacity Building for Educators"
"Teaching Basic Computer Literacy Skills to NSNP Community Staff Members"
"Using ICT to Execute Managerial Skills at my School"
"Using Computers and Whiteboards to Instill the Love of Maths inFoundation Phase"
"Spelling, Writing and Reading through ICT"
"Using ICT as a Search Technique in Social Science"
"How to Integrate ICT when Introducing English as First Additional Language in the Foundation Phase"
On Thursday afternoon 25th August we held a webinar entitled, ‘How to create a tour with Google Earth' using SchoolNet's Adobe Connect platform. Our speakers were Keshma Patel, Grade 6 teacher and Judi Francisco, IT Co-ordinator at Micklefield Primry School in Cape Town. Google Earth, a free download, is a game changer in the classroom as it brings Geography lessons to a whole new level. Jusi and Keshma said prior to the webinar, "In this webinar, we will show the step by step process on how to successfully create tours using Google Earth. This can be a fantastic tool for teachers or learners to create projects which integrate content and computer skills. Have you have ever thought about re-creating a tour showing the journey of Vasco da Gama, places of interest in a Shakespearean play or creating physical maps for a certain country? Join us, to find out how to use placemarks, snapshot view, custom markers, insert images and information to record a tour." They presented an amazing lesson that would inspire any primary school teacher or Geography teacher to make Google Earth a definite part of the curriculum. Judi and Keshma kindly provided a Google Earth How to to help anyone who hasn't used this application before to get started. SchoolNet South Africa provides one short, free webinar per month usually on a Thursday afternoon near the end of the month at 3:30pm. Our September webinar will be presented by Mabore Lekalakala, Mabore is a South African educator currently teaching Grade 6 Mathematics and Natural Sciences & Technology at Toronto Primary School in Limpopo, Province. She is a twenty-one years’ experienced teacher with an in-depth understanding of knowledge and skills needed for teaching and learning and one who continues to seek new ways to develop and enable students with 21st century skills and attributes. Title of presentation: Beyond PowerPoint with Online Apps. Description: In this webinar Mabore will demonstrate how to use PowerPoint to create video based lessons including in the lessons new add-ins and special features such as YouTube videos, Google Forms, Quizzes, Geogebra, and Testmoz to make them interactive. 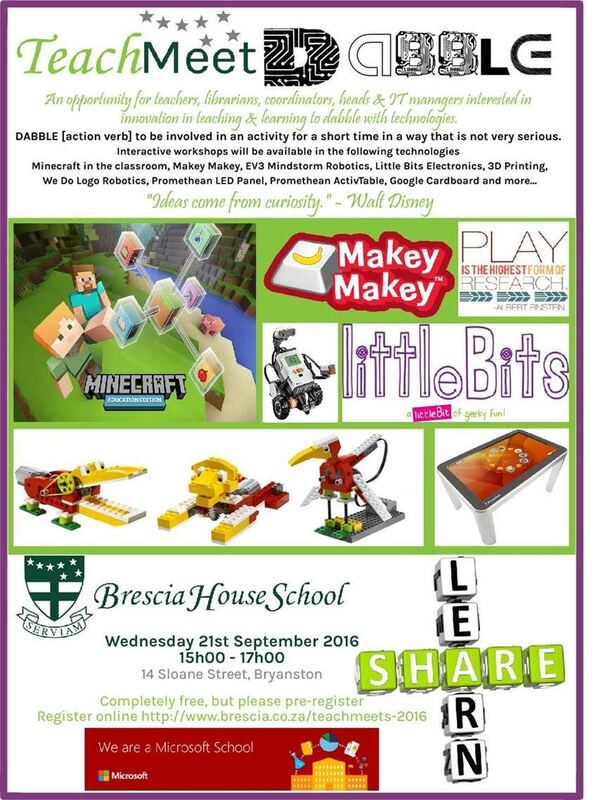 She will also demonstrate how to create PowerPoint games and how to save everything in the cloud where they are accessible on any device. 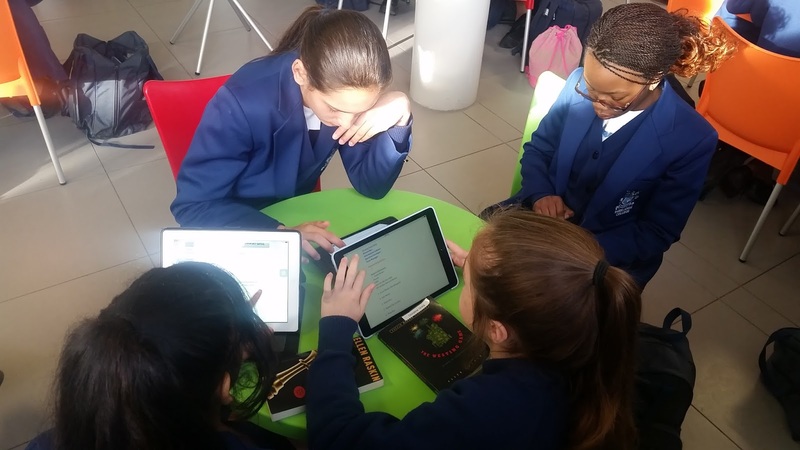 Congratulations to the 122 teachers from South Africa and Lesotho who were recently named as Microsoft Innovative Educator Experts (MIE-Experts) on the Microsoft Educator Community. Of these, approximately half of the MIE-Experts joined the program in 2014 or 2015, and have opted to remain part of the program for another year. We are also thrilled to have over 50 new teachers joining the MIE-Expert ranks – welcome aboard! If you would like more information on the Microsoft Innovative Educator Expert program and how you can apply – see here for more details. Google Earth, a free download, is a game changer in the classroom as it brings geography lessons to a whole new level. While Google Maps is more convenient when you’re on the go (largely due to the turn-by-turn navigation), Google Earth has a lot of features that make it more powerful for digging in. Earth offers additional 3D content, makes it easier to stack layers of information, allows you to use special controllers such as the SpaceNavigator and the LEAP Motion, has an excellent flight simulator feature, allows you to view historical aerial imagery, and gives you additional tools such as the ruler and elevation profiles. (via the gearthblog.com http://goo.gl/uDu9zw ) Google Earth allows students to take virtual adventures to distant locations around the globe, under the sea and into outer space. 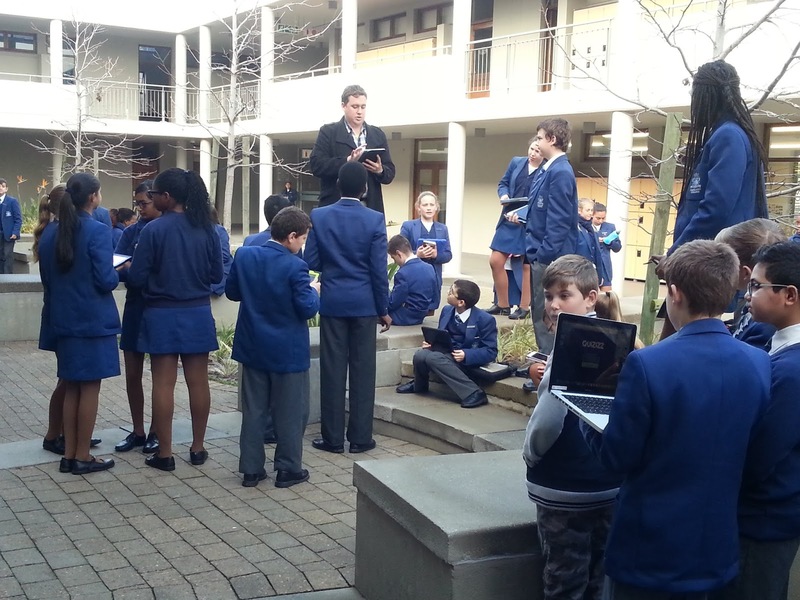 In this webinar two teachers from Micklefield Primary School in Cape Town will take us through the process of creating a tour using Google Earth. Summary: In this webinar, we will show the step by step process on how to successfully create tours using Google Earth. This can be a fantastic tool for teachers or learners to create projects which integrate content and computer skills. Have you have ever thought about re-creating a tour showing the journey of Vasco da Gama, places of interest in a Shakespearean play or creating physical maps for a certain country? Join us, to find out how to use placemarks, snapshot view, custom markers, insert images and information to record a tour. Presenters: Keshma Patel, Grade 6 teacher and Judi Francisco, IT Co-ordinator at Micklefield Primry School in Cape Town. Can you afford to miss this? Network with other teachers in Joburg and have two hours of dabbling at its best. The Grade 00’s and 0’s made wonderful futuristic machines out of recycled materials. A few Grannies from Grade 0 shared Show ‘n Tell about music players from the past and the Grade 00 brought in an item to be locked away in a time capsule, only to be opened again in Grade 7. Grade 1 The Grade 1 girls had a wonderfully creative session where they designed their own buildings for the future from Lego that they brought from home. What was special was that all their designs were unique. They also enjoyed seeing each other’s designs. The Grade 2 girls designed fabulous inventions to solve real world problems. They imagined themselves as grandparents (at the age of 64) and decided what problems they might face on a typical morning while looking after their grandchildren. Using ‘Paint,’ the girls designed fabulous inventions to solve their problems. The Grade 3 girls learnt about sustainable food resources and food of the future. We made Looking into the Future posters where we all predicted what we would be in the future and where. We visited the Brown and Annie Old Age Home in Pinelands where we interviewed the elderly about what school was like when they were children. The girls thoroughly enjoyed hearing all their special memories and stories. All the girls spent the week with eyes open and minds wondering and thoroughly enjoyed all their activities and chances to explore and imagine. The Grade 4 girls explored the Changes in Medical Technology over time. They especially enjoyed researching all the weird and wonderful cures used in Victorian times…..a stinky sock to relieve a sore throat or a potato to help with earache! Today’s cures seem so much simpler and effective! An outing to Vincent Pallotti Hospital with a tour through the X ray department and the advancements that have been made, was especially enjoyed. The Grade 5 girls explored the world of electronics with Club Electron. They learnt about and experimented with different circuits, breadboards and the basic building blocks of robotics. They also began their project of being environmentally aware citizens of the future and making Eco-Bricks. Women inventors were the focus in Grade 6. The girls chose a women inventor that has influenced the world we live in and explored how their invention has helped society. The girls then had a chance to become inventors themselves, using littleBits they created innovations that could solve a world problem. Panic buttons on school bags, wind powered cars, reading glass to help Dyslexia and trackers to locate lost pets, were created. The Grade 7 girls debated whether robot teachers will take over the classroom in the future. Another debate topic was whether using avatar students was useful when training teachers. 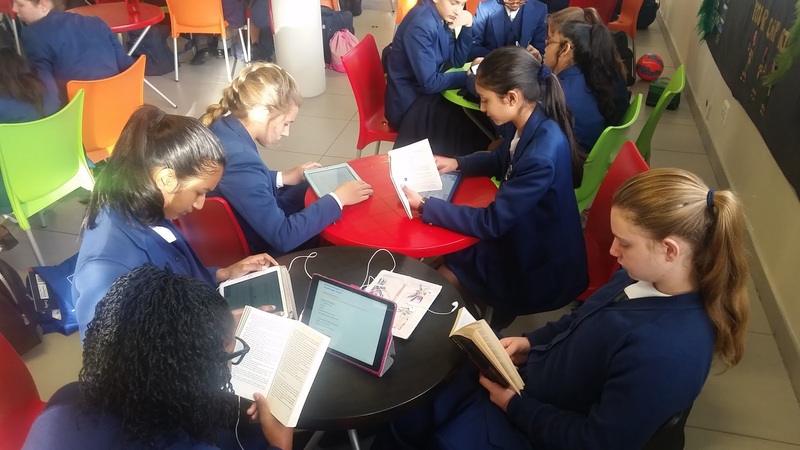 The girls also interviewed their parents about being teenagers in the 1980s and they then made videos on iPads about the differences between life as a teen in 1986 and life as a teen in 2016. Great fun was had when the girls dressed as teens in 1986. The Grade 4, 5, 6 and 7 girls came to the computer lab to watch a short video. Then we skyped Richard Hardiman. He spoke brilliantly about what it takes to be an inventor, the process he went through, his concern for the environment and what his dreams for the future are. The girls then asked questions about his invention and also for guidance about the inventions that they have been working on. 'Let the game begin!' ' posted on . 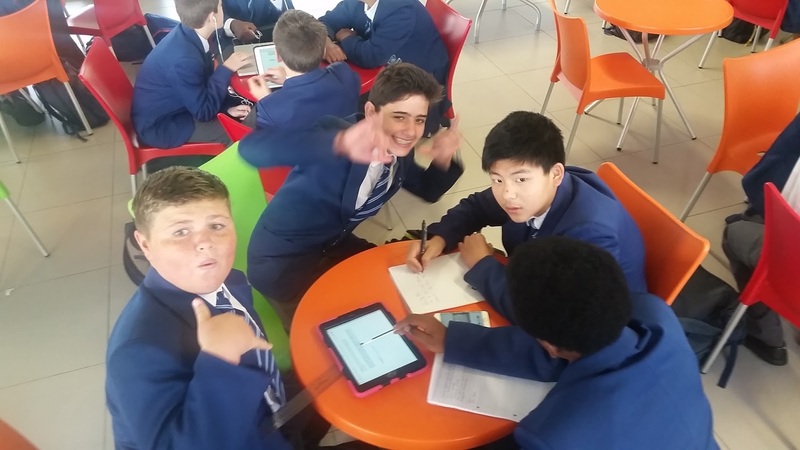 Anthony is a very innovative English High School teacher from Parklands College in CapeTown who delights in using technology in his High School English classes very creatively. We are always delighted to publish posts by Anthony. You can view all his previous posts on our blog via the Anthony Peters label under ‘Quick links’ on the right side. 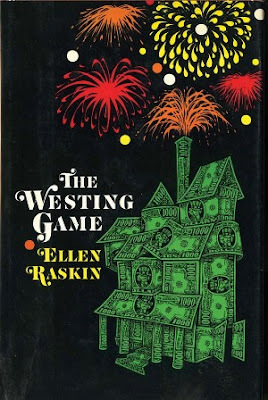 This is an exciting literature project based on the novel The Westing Game by Ellen Raskin. Throughout its reading, the learners will have to decide between sixteen potential murderers who are all eager to receive a '$200,000,000.00 inheritance from a wealthy but mysterious businessman. However, this particular individual bizarrely predicted his own murder and has initiated a game to not only divide his wealth but to catch his murderer! 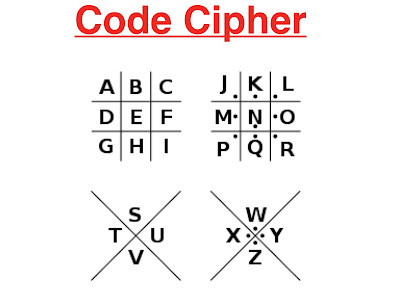 It was another exciting week for grade 7 in English with deception, decoding and paramount deviousness! 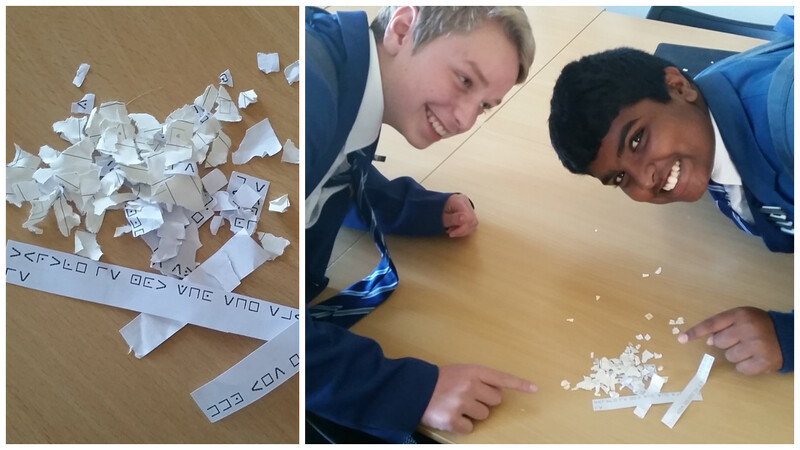 The learners continued with the novel The Westing Game to unravel the intricate plot of who murdered the multi-millionaire Sam Westing! The lessons this week revealed a number of answers as well as more questions, as it appeared there was a murderer, a thief and a bomber amongst the previously innocent characters. Learners continued reading through the text and continued to update their Clue Sheets via Google Docs in an attempt to tighten the noose around the guilty. 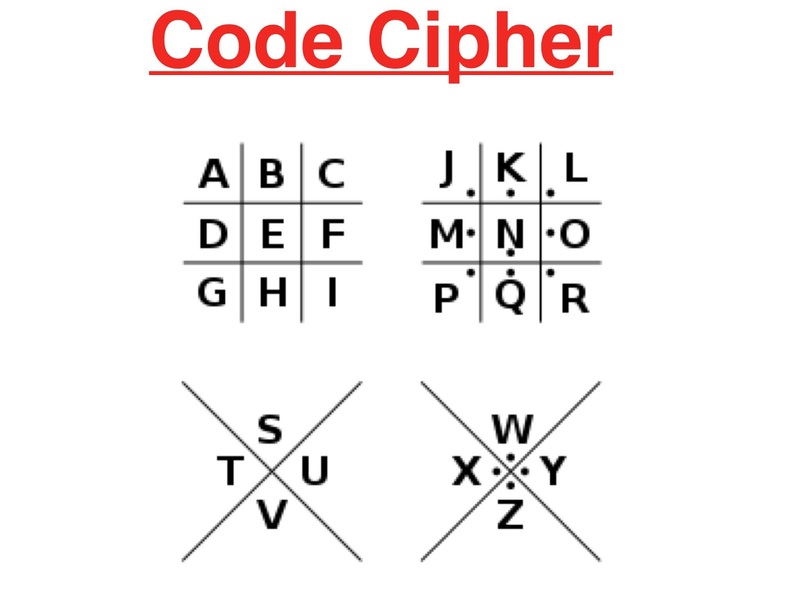 As with the characters, the learners were given encoded clues as well to help as well as hinder… The competition has become so intense now that some individuals even deciphered the discarded clues of competing groups! In some lessons, clues were even found surreptitiously placed on specific classroom chairs…the plot thickens! All groups in each grade 7 class were responsible for ensuring they reached the lesson and reading goals which encouraged collaboration and a great deal of responsibility. 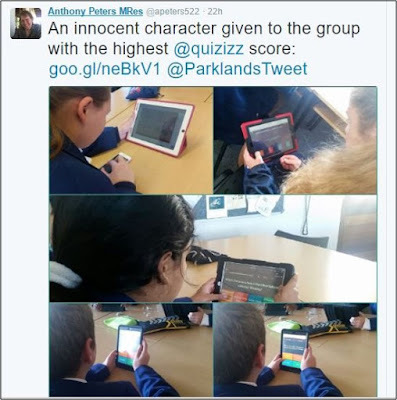 To ensure each learner understood the intricacies of the novel’s complex plot, they were assessed via a gamification app called Quizizz. These informal assessments helped maintain the fun and competitive elements of learning with the highest achievers in each group being awarded further clues to help them win Sam Westing’s game. With only two weeks to go, the whole grade is intrinsically enveloped within the novel and with such a high degree of deception from all players, it is clear that nobody can be trusted! 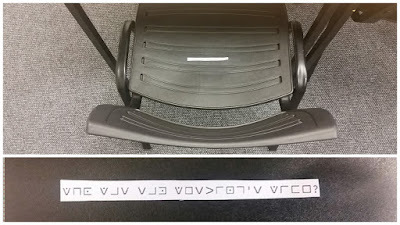 SchoolNet says:Thanks for this post, Anthony. It is amazing how you can make your English lessons so exciting and fun with deep learning taking place at the same time! Thank you again to you and the creative English Department at Parklands College in Cape Town for sharing another inspiring lesson with us. Two EdTechTeam Summits in September in Joburg...don't miss out! 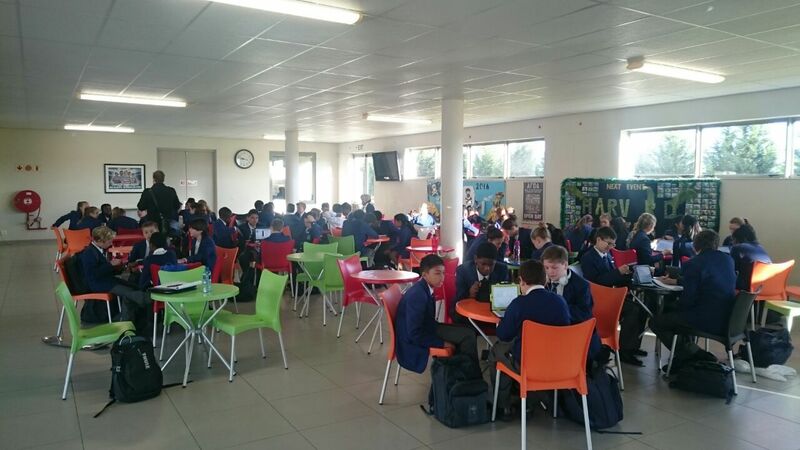 The EdTechTeam Summits in South Africa have always been very popular. Great overseas and local speakers, great ideas on how to use Google in your classroom, great ideas to take home and a great buzz all round! September 1,2 and 3 sees two of these Summits taking place at Dainfern College and really, you don't want to miss these. Best is that when you register at za.gafesummit.com/2016/ if you use the promo code CloudEd you'll receive 10% discount! This popular yearly Summit will be held at Dainfern College in Johannesburg this year as mentioned. These EdTechTeam Summits are extremely popular all around the world and are held weekly in different venues. This will be the 4th annual EdTechTeam Summit in South Africa, and each one has provided outstanding, unbeatable and innovative professional development. Enjoy two full days of learning + Optional Deep-Dive Workshops on 1 September! This two-day high-intensity event focuses on deploying, integrating, and using Google Apps for Education (and other Google tools) to promote student learning in K-12 and higher education. The program features Global Leaders in Google for Education Training, local Google for Education Innovative Educators, Google for Education Certified Trainers, practicing administrators, and other solution providers. 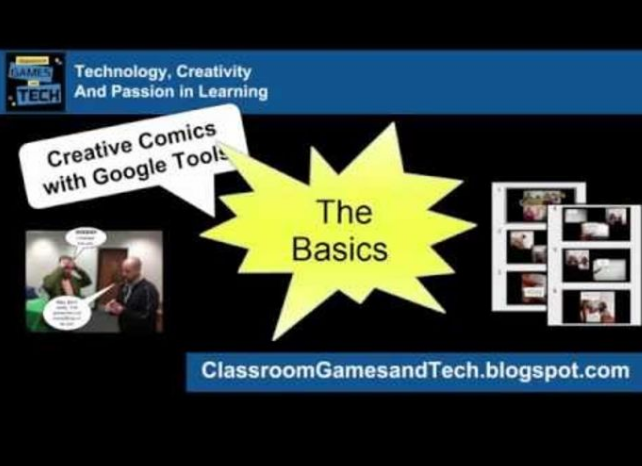 Sessions will cover a wide range of applications for beginner and experienced GAFE users, for classroom teachers, administrators, tech coordinators, and anyone interested in learning how Google's free suite of tools for education can enhance student learning. In this webinar Ronelle demonstrated the steps to integrate Augmented Reality successfully in your classroom. 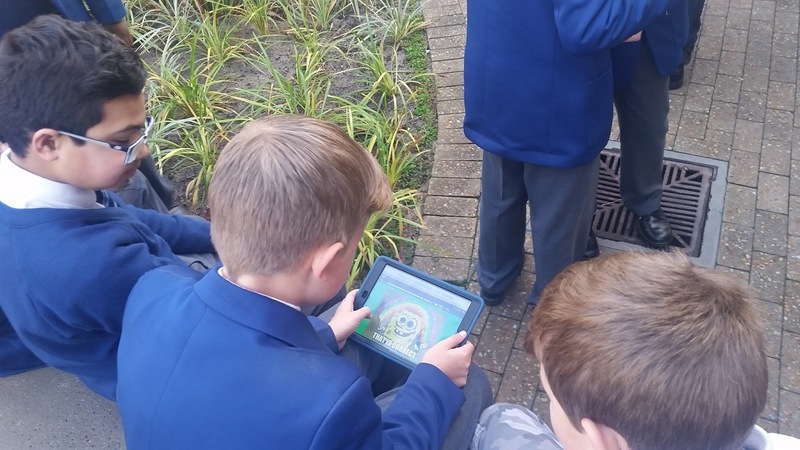 Augmented Reality is a tool teachers can use to bring learning to life and make the learning experience an interactive adventure. 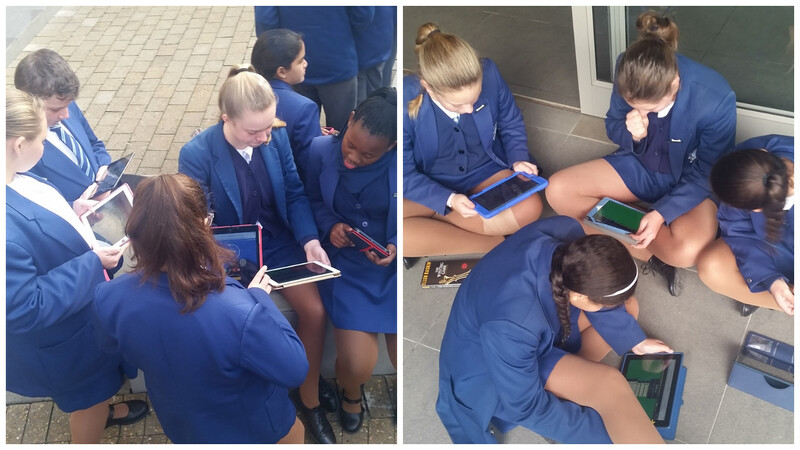 Ronelle says, "I use AR to engage my learners, scaffold learning and flip my classroom. In this webinar I’ll share practical examples of how to integrate AR in your classroom." SchoolNet South Africa provides one short, free webinar per month usually on the last Thursday afternoon of the month at 3:30pm. .
Our second webinar of the season will be presented by Keshma Patel, Grade 6 teacher at Micklefield Primary in Cape Town on 25th August at 3:30pm. The topic is 'Exploring with Google Tours'. One of the things Keshma will be demonstrating is how to re-create a Vasco da Gama or Bartholomew Dias journey using Google Tours. There will be more information about this webinar in blog post nearer the time. This is another guest post from Anthony Peters @apeters522, a very innovative English High School teacher from Parklands College in Cape Town who delights in using technology in the classroom creatively. We are always delighted to publish posts by Anthony. You can view all his previous posts on our blog via the Anthony Peters label under ‘Quick links’ on the right side. This is part 1 of an exciting Grade 7 Literature project. Anthony will provide an update on how it is progressing! This quarter, the grade 7 learners are undertaking an exciting literature project based on the novel The Westing Game by Ellen Raskin. Throughout its reading, the learners will have to decide between sixteen potential murderers who are all eager to receive a '$200,000,000.00 inheritance from a wealthy but mysterious businessman. However, this particular individual bizarrely predicted his own murder and has initiated a game to not only divide his wealth but to catch his murderer! Nobody can be trusted (including the English educator!) so it is will be up to the learners (in groups) to discern friend from foe. Clues will be left encoded in the Morning Announcements in order to help grade 7 navigate through this intricate plot. 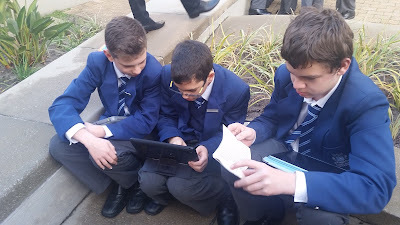 In order to keep track of all the suspect details, the learners are using their own ‘secret’ Google Doc to make notes, and crucially, to engage with a pertinent line of questioning in order to determine who can be trusted and who should never be. During the English Masterclass lessons, the learners will be continuing with the novel in reading circles. The learners have four roles which must be divided between the group members. These include: Researcher, Information Collator, Question Developer and Team Manager. This scenario helps develop several other skills involving organisation, collaboration and group acknowledgement. Such skills will be invaluable when entering the FET phase and their future careers. Crucially, this student-centred approach empowers each learner by making them responsible for their own learning and encourages the highly necessary higher-order thinking and reasoning skills in order to uncover the guilty character(s)! Let the Westing Game begin! Thanks for this post, Anthony. It is amazing how you can make your English lessons so exciting and fun with deep learning taking place at the same time! Thank you again to you and the creative English Department at Parklands College in Cape Town for sharing another inspiring lesson with us. We will be posting part 2 of this Grade 7 Literature project next week. Keep tuned!